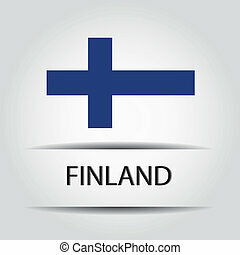 Finland badge. 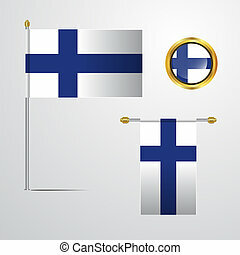 Gold badge with the flag of finland. 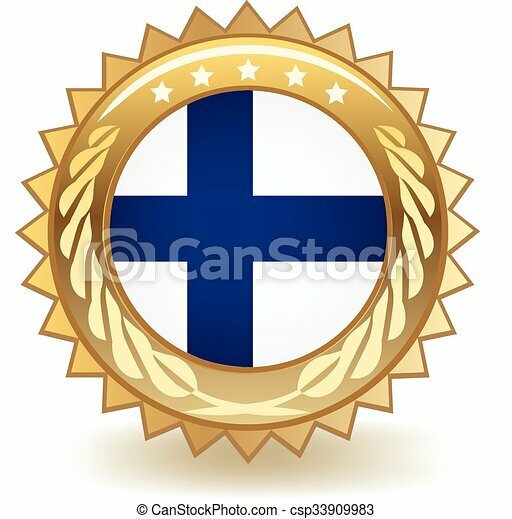 Gold badge with the flag of Finland. 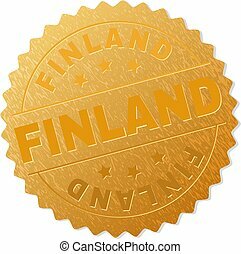 FINLAND gold stamp badge. Vector golden medal with FINLAND text. Text labels are placed between parallel lines and on circle. 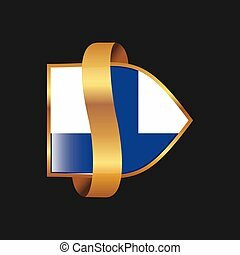 Golden area has metallic texture. 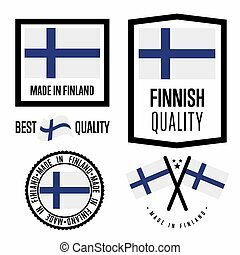 Finland quality isolated label set for goods. 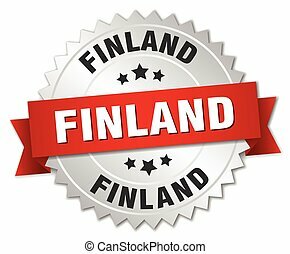 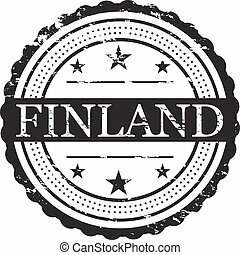 Exporting stamp with finnish flag, nation manufacturer certificate element, country product vector emblem. 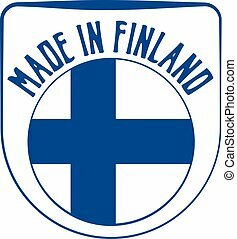 Made in Finland badge collection. 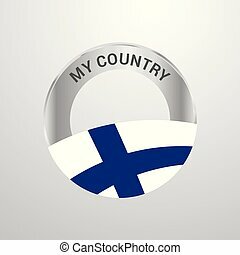 Made in Finland silver badge and icon with central glossy Finnish flag symbol and stars. 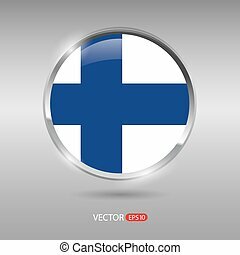 Vector EPS10 illustration isolated on white background.